Show of hands—who loves cheese? If you didn’t raise your hand, you should probably quit reading, because the three recipes I am offering today do nothing, if not provide in-your-face cheesiness. How could you not love cheese? Your loyalties are now in question…. If you did raise your hand, you are my friend, and I love you. When I was kid, however, I only ate two kinds of cheese. American, and that powdered fake Parmesan stuff that was referred to in my house as Stinky Cheese. It went best on Spaghettios. Once when I was four, I opened my blue Mickey Mouse in Space lunchbox to find, to my horror, a swiss cheese sandwich. Despite the fact that my name was on this blue Mickey Mouse in Space lunchbox, I knew instantly that my lunch had been stolen. There was no way on God’s green earth that my sweet mother would have done that to me. Put not-american cheese on my sandwich. There was clearly a great conspiracy at play. Obviously, someone had surreptitiously purchased a blue Mickey Mouse in Space lunchbox, put MY name on it, with the same red tape label maker, and placed in it a swiss cheese sandwich. Then they took my lunchbox, and ate my cheese american cheese sandwich. It was so obvious. The teacher called my mother at work to explain the subterfuge to which I had fallen victim. My mother presented in about 15 minutes with a sack from Whataburger, explaining that she had indeed placed a swiss cheese sandwich in my blue Mickey Mouse in Space lunchbox, as we had run out of american cheese. Imagine the inconceivable betrayal I felt in my little heart. My own mother giving me a swiss cheese sandwich! That is an honest to God true story. I am surprised I lived through it. The What-a-meal toy made the boo boo in my heart go away fairly quickly, and I would go on to love cheese. All cheese. Well, except for American cheese and powdered fake Parmesan. To make these recipes easy to recreate at home, I am using cheeses commonly found in most grocery stores. Even if you live in Far East Nowhere, you should be able to make these with no substitutions. Food snobs will cringe at this, but I am even using a brick of “pasteurized processed cheese food” , which I am pretty sure means “not actually cheese” in one of these recipes. Let me be clear. I understand that this is not cheese. It is oil, salt and yellow, and some other stuff, shaped into a soft brick, sealed in foil, and placed in a box on the store shelf. It is shelf stable, which is really, really creepy for something that masquerades as cheese. BUT, this product is a mainstay in southern homes, so I have to give a nod to my Daisy Duke side. Also, it just really helps bring a lovely smooth melt to the cheese dip. When I go to the gourmet market, I have to steer clear of the cheese counter, lest I wind up spending way too much time and money there. They are all my favorites. I love a nice mild, creamy Havarti for snacking, and sandwiches, and nothing adds spark to mac and cheese like a bit of strong Double Gloucester. For salads, and with fruit, I love Stilton with Apricots, Gorgonzola, Wesleydale Cranberry, and Danish Blue. Pecorino Romano and Parmesan Reggiano always stand ready for rapid deployment onto pasta, salad, and toasted bread—I can whip out a microplane zester faster than Dirty Harry with his 45. Go ahead, Cheese. Make my day! Wash: 1 egg, 2 teaspoons water, ½ cup finely grated sharp cheddar cheese. In a small bowl, mix yeast, water, and sugar. Allow to sit for 10 minutes. Place milk in a saucepan over medium high heat…Bring to scalding, but do not boil. Remove from heat and let cool for 10 minutes. In the bowl of a stand mixer fitted with a dough hook, add the flour, milk, yeast mixture, jalapenos, salt and eggs. Turn on and knead until a sticky dough is formed. Add additional flour if necessary to form a smooth dough, and knead for 10 minutes. Add in the cheese at the last-minute. Remove bowl from mixer, cover with a clean towel and let sit for 15 minutes. Knead on a lightly floured board for 1 minute. Place in a lightly oiled bowl. Cover with a clean towel and let rise again for 90 minutes or until doubled in size.. Punch down the dough and shape into two loaves. Place into 2 lightly oiled loaf pans. Cover and let rise for another hour, or until double in size. Brush with egg and water mix. Sprinkle sharp cheddar on top. Bake in lower 1/3 of your oven, at 375* for 30 minutes, or until nicely browned, and hollow-sounding when tapped. Allow to cool for ten minutes before removing from pan, and allow to cool for at least 30 minutes before slicing. Not the grilled cheese from your school years. This sandwich has incredible flavor, texture, and grown up appeal, and it’s not bad to look at either. Mix hot water with sugar and salt, and stir until dissolved. Place in a bowl with the red onions, and allow to sit for thirty minutes. Heat a large skillet to medium high. Brush both sides of the bread with olive oil. Place both slices in the skillet, and toast until the bottom is brown and toasty, about 1 minute. Turn over, and place one cheese slice on each piece. Toast for 2 minutes, until cheese is melted, and bottom of bread is toasted. Remove to plate. Place bacon on top of the cheese on one side of the bread. Put guacamole on top of the bacon, and red onions on top of the guacamole. Top with remaining bread, cheese side down. Cut in half diagonally, so you can admire the colorful and delicious masterpiece you have created. –this will be the best Chili Con Queso dip you have ever had. Period. The asadero and quesadilla cheeses are available in the Mexican cheese section at most large grocers. Cube or shred the cheeses. Place all ingredients in a crock pot or dutch oven on low heat. Stir periodically to help melt the cheese and mix everything together. (if you are using a dutch oven, stir more frequently to ensure the cheese does not burn on the bottom). When all the cheese is melted, the mixture will not look smooth at first. Using a heavy spoon, stir the mixture vigorously for several minutes until it becomes smooth. Add more milk if desired for a thinner consistency. Serve with thin style tortilla chips….. Hurry back and get some cheese, girl! I would claw my eyes out if I had to live without it for too long. I want! Thanks for sharing! Oh wow!!! I love that you used a jalapeno cheese bread to make grilled cheese with! That and with everything sounds like a spicy delight. I use jalapeno cheese hamburger buns too….Love the added zing! I’m so glad you got past the American cheese stage. Life is short. That sandwich looks so good, I am going to HAVE to make the bread and get busy on it. My husband will love it. Maybe I’ll make it for his birthday. But no. I’m sorry, I just can’t use the Velveeta. I think my soul would crack. I’ll just go sit in the corner and be quiet. Yes, I have a huge struggle with Velveeta. Its like Spam. And Vienna sausages. Try the queso without it, just cut the amount of veg and milk in half. 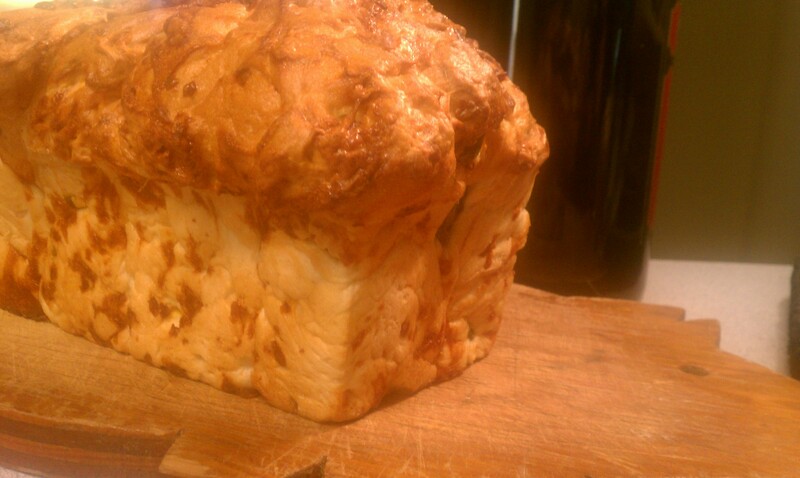 The jalapeno cheese bread looks divine! Thanks! It had a nice body to it–perfect for grilling. 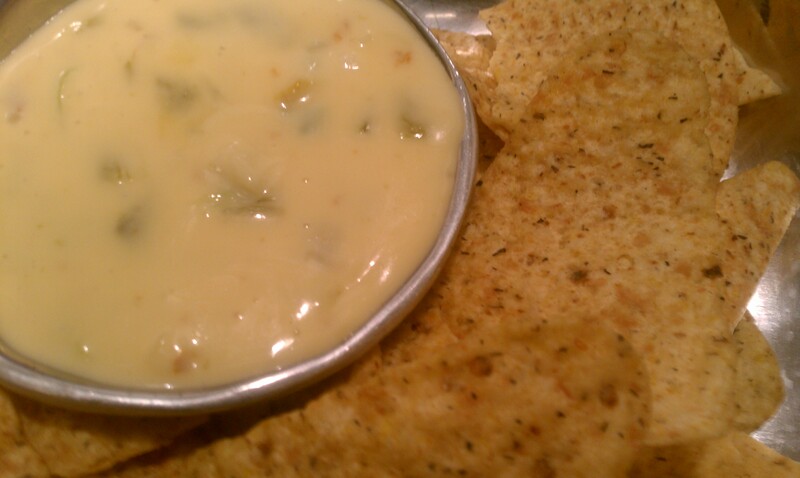 It definitely is the best queso I have ever eaten. It’s always a hit when you bring it to our family functions. Omg, I will have to make those grilled cheese sandwiches! My son is s very blessed man! I’ll have to make y’all some soon….they were incredibly good. This sounds like a fantastic grilled cheese. I want one! So that explains my thigh situation….oh well, too bad. I am inextricably committed to cheese. Oh my goodness graciousness!! I love cheese….of all kinds. 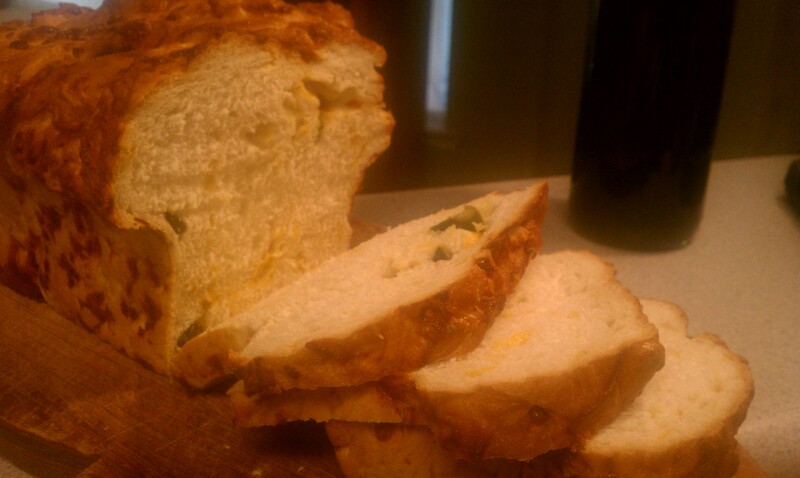 Your jalapeno cheese bread just rocketed to the top of my short to-do list (as opposed to my long one). Quick question…what are quick acting yeast granules? Sams as just quick acting yeast? And can you share the hamburger bun recipe? Thanks so much. And yes…we eat are fair shair of the non cheese cheese. Yes…just fast acting yeast. Some people still use the cake yeast, which I love, but is hard to find here. The hamburger buns are the same recipe (I add an extra 2 tablespoons of sugar), just shaped into small buns rather than one large loaf….They are fairly sturdy, so they stand up well to big patties, or the stuffed patties like my hubby likes (jucy lucys). Babe, Dirty Harry carried a .44 Mag. Let’s be clear on that! Wow! It all looks incredible! I want to try the queso, looks like a great upgrade from what I grew up on at family get togethers. One box, two cans, right? Thats what I grew up on too…..tasty? Yes. Authentic? Not so much. haha! exactly! and we’re always irritating my mother in law with recipes that are upgrades from the original. I can’t wait to try it. That cheese bread looks great (even though I wouldn’t want the jalepenos!) but then to make the grilled cheese with it…oh wow, I’d suffer through the heat, looks so good!! Can I substitute something milder for the peppers in the bread? Just use mild canned green chilies. Or sun dried tomatoes. I would LOVE this!! Grilled cheese is my most favorite go to comfort food!! Can’t go wrong with cheese! Thank you for signing up to follow my blog! I look forward to reading more if your blog. Thanks! When you called it a loaf of velveeta, I died inside. Just a little. Thanks! I look forward to sharing recipes! I swear I could live on cheese and crackers or bread and nothing else. Cheese bread makes fantastic sandwiches. Actually any homemade bread does. All of these recipes sound wonderful. I could live on cheese, and my sons on bread. This is one thing we both agree on! I’m not really a cheese fan but I love the post tiles in your blog! I love to cook and look forward to trying some of your dishes. Thanks for following my blog! Thanks for checking out my site, too! I’m sure you’ll find some recipes that you’ll enjoy. Oh MY! This is perfectly sinful and I can’t wait to try it!! Thanks! I’m not going to lie—it was pretty tasty! thanks! Give it a whirl! It is full of cheese goodness…. Thanks so much for visiting Cheers Beers. Aww man did I discover your blog on the right post! Everything is better with more cheese and those recipes look stellar. Will be back for more! From one cheese lover to another – yum! that grilled cheese looks yummy!! Give it a shot! It was DELISH! Whoa. I could literally bathe in that cheese. Looks phenomenal! Oh my goodness! Looks delicious. How could you mother do that to you! I’m telling you, it was tragic. Cheese is a never-be-without in my fridge! Luckily, I have a hubby who thinks chips-and-cheese from the microwave is darn close to gourmet cooking. Thanks for dropping by and following my blog afterthecommercial. I’ll keep an eye out for your good posts to come, too. I want to eat all of these recipes. In no particular order. Just dish them up and I’ll have at ’em. Seriously, I’m going into a cheesy place of happiness just thinking about these three delicious dishes. Thanks for visiting, I love cheese but my daughter loves it more (she’s 15), I’ll be back soon, hope you will to! Ooh, the cheesy jalepeno bread looks incredible! I have never made my own bread, so this would be a big “step”! I live in Wisconsin and am lucky to have lots of good cheese. My husband and I always have a block of Bucky Badger (the brand, made by UW Madison) of medium cheddar in our fridge. I’m so glad you’re following my blog. A delicious result for me….so now I’m following you. Would you consider easy, tasty, healthy recipes I could link to for the old folks. Their food gets so boring as you can imagine. My taste buds, on the other hand, can’t wait to experience your recipes. Thanks. Susan, try my chicken meatballs with squash ribbons, my tilapia with strawberry salsa (omit the margarita reduction), and my grape nuts meatloaf for some easy, healthy dishes. Also some soups I have posted fit the bill. I try to include some easier and healthier stuff periodically. Good idea to include older folks. My friend Evelyn, 83, is trying to get more nutrients in her diet. That’s not only vegetarian but also easy to chew & (due to ulcer) only half a stomach .. Beans everyday is just not enough. Thanks so much for identifying appropriate recipes. I’m excited to try them for myself and perhaps for one of my blog’s 98-year-old sr. advisors, R. Since dawnspitfire lives in the same state as sr. advisor R, and can no doubt go to Trader Joe’s and Safeway, I’d also like to share with her 2 posts about the food a 98-year-old buys to cook for herself. But hesitate to mention my blog here–so won’t. Ideas? Again, THANK YOU! Susan, feel free to leave your blog site on here…it’s all about sharing! Glad you like my blog. I try to post food once a week since it seems so popular. Originally, I started blogging to share my writing, but somehow food got in there. If you have a really fabulous recipe for pickled jalapeños, please share it. I have an exchange student from Thailand. A friend from school whose father is from Mexico brought over this fabulous jar of homemade pickled jalapeños with garlic and onions and carrots also in it. It apparently remains a family secret because they won’t share the recipe. I know there is a bay leaf in there but I have not decided exactly what else yet. I’m with Tanya, as far as you making my mouth water! I will have my wife try these recipes. Also, thanks for stopping by on my blog. I really like Swiss cheese, but Baby Swiss is a close second. I’m in Southeast Asia so these treats come only when visitors show up! Wow, you have some great recipes on here. I eat vegan though, and no processed foods at all. I could really use some good meal ideas, I cant seem to find many options. Let me know if you do a post on vegan ever! You are making me hungry and it’s not even 9 on a Sunday morning. Cheese is my downfall. Sweets, you can keep. But, don’t take away my cheese. Great recipes, photos! That sandwich sounds AMAZING. I love American food, so I’ll definitely be following you too! I love you. And your cheese. Just saying. Oh, thank you, so much! What a nice thing to wake up to on a Monday! Reading this made me want to get out of bed, go to my fridge, and eat some cheese. Great recipes. I would go through withdrawl if I didn’t have cheese. nice post, cheese is wonderful, I find goat cheese and Manchego to be my favorites. Thanks for visiting my blog. Did you find the chemistry from med school helped your cooking? I didn’t go to med school, but I think if I did, that the chemistry would actually hurt my cooking, but help my baking. Baking is so precise, and is quite dependent on various chemical reactions to be successful. Being Dutch I am very particular about my cheese and living in Mexico, that has become a challenge. I got introduced to American Cheese here and I can only refer to it as plastic cheese. I don’t mean to offend anyone, but really it has nothing to do with real cheese. I am so glad you got over this phase and your recipes look yammie! Will definitely give it a go. I don’t think that offends anyone. We all know American cheese is garbage. Kids like garbage, but we grow out of it…thankfully…in Mexico, try asadero, manchego, and queso quesadilla. Me too. I am 44 years old, but I remember that day very very vividly, and that I was soooooo certain that someone had stolen my lunch box, etc….Funny what we remember…. I love your cheese story, so cute at a young age. Also, I am a #1 Fan of loving cheese…I am still discovering different kinds today – can you believe it?! I CAN believe it. There are so many cheeses available widely now–much more than even several years ago. I always try a new one at the gourmet cheese counter. So many choices, so little time! OMG! Sounds and looks amazing. Love your blog! Your cheese story made me laugh and the recipes made my mouth water – can’t wait to try them – some people eat to live, I live to eat and cheese is right up there at the top of the list! Oh that sounds so delicious, I’m stealing your recipes for dinner this week as I like to have sandwiches, with soup or salad at least once this week. Steal away! Let me know how you liked them. Thanks for visiting Savory Goat Cheese, and for lionizing cheese in general! It’s the Other White Meat, don’t you know?! If people only realized that cheese is more digestible than meat, but packs a similar protein profile, I’m sure there would be more substituting one for the other in this world. And dairy is a sustainable protein, without any living beings having to go off to freezer camp:) 40,000 years of cheesemakers cannot be wrong! Rock on with the good food, Texana! HAHAHAHA love your story of the Mickey mouse in Space lunchbox. I could see how a child would dislike swiss cheese (its got HOLES for goddsake!) LOL. Whats american cheese like (i’m in Australia)? like a colby cheese? is it yellow? or more like a soft white? I apologise for my ignorance. Texana, that cheesebread recipe of yours deserves a nobel prize! Thanks! American cheese is gross. Do you have velveeta in Australia? American cheese is like velveeta, but more rubbery. It’s a very mild cheese, but salty, highly processed, bright yellow, and made mostly of oil. It comes wrapped in individual slices, and gets gooey on a sandwich if you make it in advance. Kids love it, but usually grow out of it. However, it is also the cheese used most often on grilled cheese sandwiches in the states. We do have those cheese singles wrapped in plastic. The cheese is unnaturally shiny right? Sounds like your american cheese. The stuff they use in BigMacs at McDonald’d right? That grilled cheese looks awesome. I don’t normally eat that stuff unless I visit Texas or Georgia. Then it somehow becomes the right thing to do. Thanks for visiting my blog..I wonder how I’ve missed yours – it’s great! The sandwich and cheese dip recipes have joined my happy family. Although I do grind up (and often freeze) my cheeses, I’m not knocking the processed stuff as it has it’s place in my repertoire, used in moderation. Parm in a jar (shake cheese at our house) is enjoyed for it’s stinkiness; for some recipes, it’s hard to substitute the Velveeta-types as their very meltiness is what we’re after and my favorite grilled cheese sandwich is still made with American-in-plastic and Pepperidge Farm White Bread. I need no excuse to eat cheese – it’s definitely my chocolate. When I’m happy, cheese. When I’m sad, cheese. When I’m stressed, cheese. Just because? Cheese! What a timely read – my daughter & her friends just had a grilled cheese-fest. All I can say is I’m mad at her for not taking pictures & notes because the descriptions of everything they came up with would have made for a fabulous guest blog. Enjoying roaming around your blog, thank you for stopping by mine. Thanks! I must admit, taking the time to take pics of everything I cook is sometimes the hardest. Ooooh, that bacon grilled cheese is killing me…. Yep. It’s harder feeding kids than food critics. That bread sounds SO good! Must bake…. Gotta admit, though, that I OD’d on Velveeta in childhood and even though I’m sure the dip is delicious, I don’t know that I’m going to go there. But cheese bread – yeah! And using it for sandwiches is genius. That was a great post. I laughed at you little story…. **betrayal**..so sweet! Just wanted to say thanks for the follow, I’m just getting started. I also wanted to assure you that I am a card carrying member of the Church of Cheese. Can’t wait to try out some of that Jalapeno Bread with some burgers! Love love love! I’ll try these recipes! Thanks for sharing! I will be attempting to make your Jalapeno Cheese Bread ASAP. It sounds amazing…just one question…is there anything I can add to make it even spicier? Sure! Use habanero cheddar cheese, and habanero peppers…..And have a glass of whole milk handy! Um. Yum. 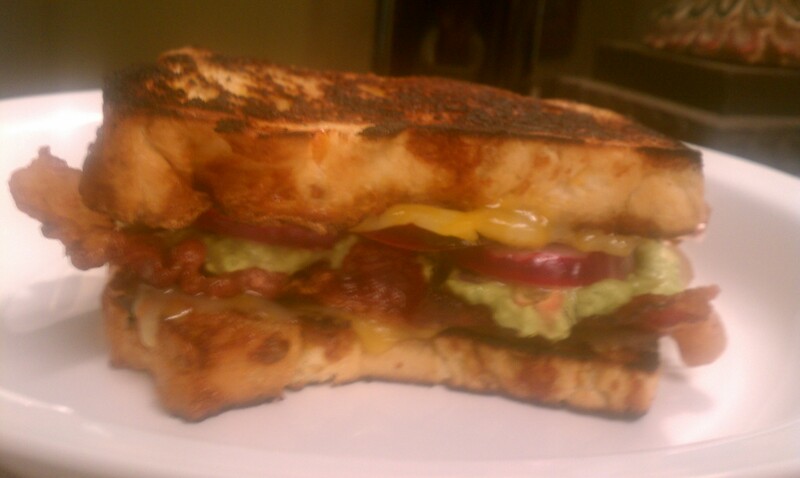 You’ve put three of my very favorite foods into a sandwich: bacon, cheese and guacamole. I have to stop reading your blog now so I can make a trip to the grocery store. Yes please….that all looks so yummy! I’ve never made bread before…but I may try just so I can eat that sandwich! Can’t say it from data, but I have a feeling that chocolate lovers tend to be cheese lovers too; don’t have a clue whether it works in reverse, though. Gotta love cheese!!! The jalapeno cheese bread with grilled cheese sounds like heaven! I like “Real” cheese and stopped buying the American cheese and processed cheese loaf. (I guess that makes me a food snob.) Thanks for liking my post, “Cheap Cheese Sauce”. Oh, I only buy real cheese too. Except for when making this one dip. oh my lord. that jalepeno cheese bread looks incredible. thanks for following my blog too! Thanks for following my blog. The photos here are making me so hungry! I’ll definitley need to try out some of these recipes. I love the inventiveness of the bread. Excellent stuff indeed. Thank you! I just LOVE Caribbean food!! Thanks for visiting my blog! My arteries are getting clogged just looking at the photos on here, but Oh My Goodness! It looks absolutely wonderous. I do have to try some, or a variation of it. Lordy that sandwich looks scrumptious! A wonderful title that hooked me straight away! I can seee lots of little bits of cheese being left stranded at bus stops and train stations all over the world. Will try the recipe for the cheesebread this weekend! Best wishes. I love Indian food, and the Hindu culture. I plan a post soon, featuring some of the country’s cuisine…I may pick your brain a bit! I grew up with six siblings, my Mom’s idea of lunch (due to finances I’m sure) was a knifefull of cheese whiz on white bread. You know what we loved it! I remember her making herself a cheese whiz sandwhich and spicing it up with some finely chopped onion. Your recipes are miles above that, or should I say light years! lol Thanks for the follow on my blog Texana (how’d you find me?). Cheese whiz on toast, celery, fingers, I even lick my knife (don’t tell my Mom) lol! I think you just killed me…I am on a diet. Wonderful read! Just don’t say you like the real, genuine, artificial, simulated, imitative stuff they always murder nachos with? Whatever became of cheddar on top? I love cheese but need to stay under 1000 cal a day, I still get my cheese! Just not so much LOL I can’t imagine not cheese… this was a great read! Your descripton of processed cheese spread was exceptional. Loved the ‘shelf-stable’ distinction and the use of the word, subterfuge! Your recipes’ look incredible! Hmmmm. Provocative. Good thing there IS cheese. Mothers do things like that sometimes. But I think the worst thing about this posting is the “cheese wrapped in aluminum foil and placed in a box on a shelf NOT BEING CHEESE” thing!!!! Next I guess you are going to tell me the yellow stuff in the spray can with the white nozzle is NOT CHEESE either! Will the fiends at the food factories never cease to try and play tricks on us? I guess I’ll have to go drown my sorrows in some Cheeze Whiz on some Pringles potato chips. Great post and recipe. J.
I figured I didn’t even have to mention the spray can cheese…aerosol cheese…..yummmmmm. I think that one is made of salt, oil, yellow, more salt, and some glue. But I sure ate the hell out of it when I was a kid. On cheese puffs, which were then rolled in bacon bits. Thanks so much for joining my blog. I love yours as well and look forward to keeping up with another southern girl’s posts! Thanks for joining my blog. I look forward to keeping up with another southern girl’s posts here on your site! Thank you for following my blog. I adore cheese and your recipes look fascinating but I have no idea what most of the cheeses you’re using are! I LOVE CHILI CON QUESO! Definitely using that recipe this evening! Goodness, that looks yummy! I was sort of similar to you in childhood, but I despised American cheese. I would only eat Mild Cheddar. I’d put parmesan on pizza and pasta (oh except, I didn’t like pasta for many years) and mozzarella on pizza only. Now I’ve expanded my horizons, but I still don’t like to go near the stinky stuff. Thanks for the inspiration! And thanks for following my blog! I am a big cheese fan! I must admit that my favorite growing up was Muenster because we would call it monster cheese. Love cheese…probably too much. Anyway, your recipes look very good and very dangerous! gorgeousness!! next to bread, cheese is my bestie!! Can I add your recipe to me bread blog?with full credit etc and a big hooplah!!! oops sorry MY blog!! great english, was so flustered by the cheese……..
I’m a huge bread maker. These are must tries. OMG! You won’t believe that I live in a house that is almost anti-cheese. So suffice to say that I feel no guilt when I eat tablespoons of Parmesan. Or a whole brick of pepper jack. Or a container of Feta with apples. It’s one of the ‘perks’ of family life. Anti-cheese? That makes me so sad…. I was worried when I saw the title of this post. The cheese has betrayed us? But then your opening paragraphs reassured me. Cheese is beloved in this corner of the internet. As it should be. Am in my 3rd week in France. The cheeses in the markets are amazing. I think the world in France revolves around cheese. Oh, yes….France and cheese go together like peas and carrots. Simon and Garfunkel. Dolce and Gabana. I hear their cured meats are quite the thing as well. BMEB…Bacon Makes Everything Better….a frequent theme in my blogs!! Well that’s all I can think I say about it. The history of the world via processed food. Genius. Always wanted a nacho cheese type of cheese sauce … every recipe I’ve tried just doesn’t turn out well. This one looks good. Thanks. This. looks. amazing. Honestly, I just bought a three-cheese miche from Panera today (too busy gardening to even fire up the bread machine) and now I see this cheese bread recipe. Will be baking next weekend. Also, thanks for the follow! My son is a baker and he makes cheese jalapeno bread and I love grilled cheese sandwiches. have you ever seen the monty python cheese shop sketch? I hope so….I spread it on pretty thick! You…you can put cheese in bread? That is the best thing ever. Really, it is. Is there anything cheese can’t do? It is the best food ever. Thank you for showing me this. So much. Well, I don’t think cheese can balance my checkbook, but other than that, I believe it can do anything. I haven’t tried it, but it sounds like one I would like…. Aye, aye, aye. Cheddar cheese is hard to come by here, great tex mex food impossible! I’ll be trying these recipes on my next jaunt to the U.S. Thanks! Jalapeno cheese bread … I have needed this recipe for so long. Thanks – and thanks for stopping by my blog so that I could redirect and read your wonderful posting! Thank you so much for liking my blog enough to follow me, what an honor it is to have you join me each week through posts and comments! 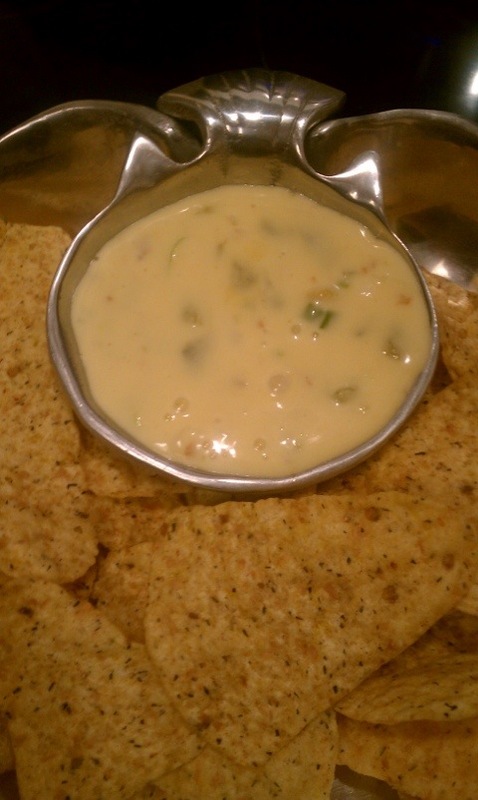 For the love of cheese, I will most definitely be trying to make your green chile queso…I can’t wait to try it. Thanks for the follow, Texana! And oh, what am I going to do now that I’ve found you? Ten more pounds, here I am! Cheese – it’s a staple in our home. And as far as we’re concerned, if you don’t like cheese you must be dead. There can be no other explanation. None. I make all our bread but haven’t tried jalapeno in my cheese bread – YUM! So I’m DEFINITELY going to pull this one out tomorrow. Can’t wait – we have grilled cheese at least once a week and my family is going to be in heaven. You had me at jalapeño cheese bread! Yummy cheesy recipes. Have you ever made your own cheese? My daughter is home from college for the summer and she is a great cook! I am going to give her these recipes and put her to work! Great article and recipes! I’m reading your blog because you saw something on my WordPress Violet’s Vibes blog that you liked. A cheese lover, I held my hand so high for the who-loves-cheese question that I grew an inch in the process! Thanks for the reminder that life is empty without cheese. Please sign this petition to stop this cruel and barbaric practice. It can be deadly to the donkeys and if they survive they are traumatized and crippled for life. As an avid cheese fiend (I prefer cheese to chocolate), I am looking forward to trying these recipes….especially the bread. Yum! Thanks for the follow. I was skimming your blog when this particular title caught my eye. Cheese is indeed one of the loveliest substances.I really enjoyed reading this. What great ideas here!! I’ll have to find some substitues for some of the cheeses, but I have chillies growing in the garden, so I should be able to get some authenticity!! 🙂 Thanks for liking my blog!! Great story and recipes. I’ll definitely be trying them. Oh, and thanks for following. An awesome American anecdote about cheese along with some delightful recipes. Agreed on all points! Cheese is the bomb! I admit, I am a fellow cheese addict! I love this post. Cheese is the only thing standing between me being a vegetarian and full fledged vegan. I just can’t give up that heavenly cheesy goodness! Wow, this is a major public service. You’re like Mother Teresa! ? ! Was wondering what, in my political blog had atteacted you. BTW: Nice blog… I went “cold turkey” for twelve weeks Re cheese as a health experiment. (I am a bona-fide cheese freak, as well as natural -no hydrogenated oil- peanut butter) My usual intake per week was easily 1-1/2lbs of either Chedder, Swiss, Pepper Jack, Monterey Jack, … When my limited income would allow, Havarti. I’d buy at least two or three kinds where the price for a 2lb block would be at or under $2.75 per lb with todays economy. I am obviously NOT lactose intolerant, thank God, but cheese is a “binder” and a lifelong belligerant GI made me decide to do this. The only cheeses I don’t like are Limburger and Liederkrantz. All others are fair game. I had to give up Brie, being older now with a slowed down metabolism. Been a long time since I had any Double Gloucester, Gorgonzola, REAL Greyer, Sap Sago, or Romano. Velveeta? any “cheese food”? UNACCEPTABLE. You are a woman after my own curd eating cheese loving heart.Velveeta is SO under appreciated.People should accept the fact that “plastic” cheese has legit culinary applications.Several years ago I worked in a fine dining joint that offered lunch.They ground their own burger meat,and topped them with Velveeta.Well thanks for stopping by and I look forward to your posts. Oh wow! Guess a lot of people like cheese, huh? I’m about 80 pounds past caring how much cheese I take in, so I guess that means I should care. But I don’t. Cheese is just too good. Yellow!!!! So well written. Just as a prose, this is genius. Food looks great too. I, too, love all things cheese. Even “cheeze”, which is what I call Velveeta and American types. The jalapeno cheese bread will be tried very soon, because the menfolk here love anything jalapeno. There is a massive market in Atlanta that carries over 300 (!!) varieties of cheese from all over the world, and whenever we go, we buy several chunks of our favorites, and always one small bit of something we’ve never had before. This is how we learned of Harlech Somerdale…which is a miracle of a white cheddar with horseradish in it. Holy cow. Forgive me, but I never realised there was such a thing as unprocessed American cheese. And that has always seemed odd to me given the number of cows you have. Love your site! And thanks so much for singing up for mine. Wow… you just raised my obsession for cheese to sky high levels. And I’ll raise your follower count by one! Hello there Christine! Great post..I especially like the home made jala.cheese bread, yum! Looks fabulous! Thanks for coming aboard the Make Shoppe and I hope to swap recipes with you! Great recipes, I grew up eating American cheese, I’m going to have to try these! Got to try this grilled cheese! When we were kids, my mom used to make open faced grilled cheese and bacon on home-made bread, and instead of grilled they were stuck under the grill to cook the bacon. Oh, yum! Now my favourite is a grilled cheese made with old white cheddar on whole wheat and then spread with some really tart home made raspberry jam. The variations are endless and I want to try them all. Guacamole will be a new twist. Ohhhhh, that white cheddar with jam sounds awesome! I must say, after looking at all those pictures of yummy food, I’m gonna get a snack, and I’m not even hungry, but my mouth is watering. Great posts! Hey, thanks for stopping by my blog. I love the fact that you introduce your recipes with a story – what a way to inject a bit of “love” into each recipe! If you haven’t tried it yet (although I suspect with your love of cheese you may have…) you really have to try pan-fried haloumi. It’s the most delicious and squeakiest cheese you will ever try. Actually, I haven’t tried fried haloumi yet. I have to drive 40 miles to get it. But you’ve rekindled my desire, so maybe I will trek on over to Central Market this weekend. Thanks for following my blog! I am a cheese lover to the extreme. I grew up eating slice after slice of American cheese right out of the slimy little plastic wrapping. I can’t remember when I branched out, but I do know I opened my heart to stinky cheese when I lived briefly in Paris. Unfortunately, I’ve grown to be a bit dairy intolerant so my cheese adiction has refocused on goat and sheep’s cheeses. I can’t wait to read more of your blog and I hope you enjoy mine! Thank you, what lovely feedback! Taste & See at TPC! Thanks for checking out my blog. I didn’t realize when I got my feet wet with this little site to promote my church’s bake-off, I would be finding such a great community as well. Hey tex, Love the recipes. Got to try the jalapeno cheese bread! Thanks for visiting my blog http://www.write4you.org. I really appreciate your following me! I did raise my hand, can I be your friend? I love your witty writing–I’m laughing so hard my supposed-to-be-sleeping children keep saying from the other room, “What? ?” “What’s so funny?” Your pictures make me want to go cook all these things NOW! But, I confess I can’t do processed cheese spread and anything with blue mold. I do make a killer cheese fondue though…. Glad I made you laugh! Cooking and kitchen memories should be fun! I admit also that processed cheese should not be consumed, but Velveeta has us in a vice-like grip down here, when it comes to queso. WOW!!! Great recipes. I just ate 2, yes 2, delicious grilled cheese sandwiches filled with pepperjack, monterey jack, and colby. 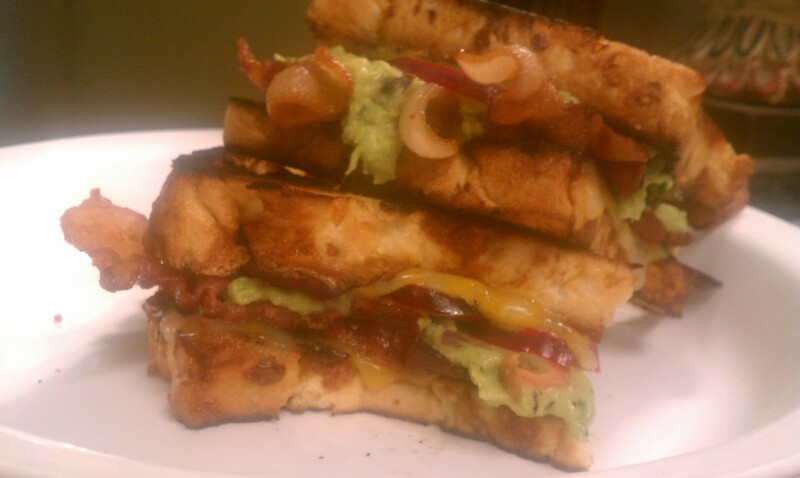 I thought I was doing something until I saw your bacon, red onions and guacamole grilled cheese. Sounds delish!!!! Oh my goodness…the pictures of the sandwich and the dip are both making me drool! Thanks for stopping by my blog! I look forward to reading more of yours! Awesome! Glad you like it…..its my hubbys fave.